Can You Name These 20 Online Things From 2014? 20 things that happened on the internet in 2014, can you name them all? Here’s something to distract you from the terrible combination of the Monday blues and January gloom – the internet meme equivalent of Where’s Wally? 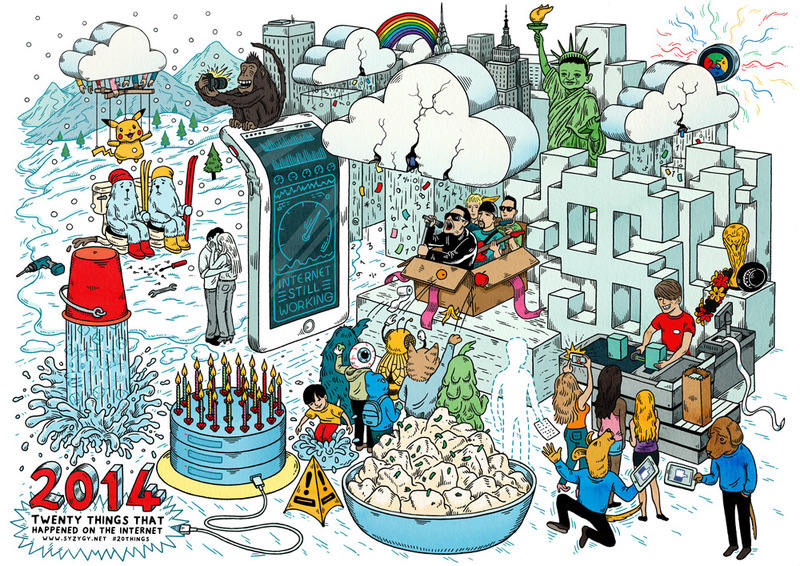 The SYZYGY Group and illustrator Andrew Rae have put together the image below, which depicts “20 of the most significant events that happened on the internet in 2014”. Tweet your answers and you could be win a limited edition poster of the illustration. There are clues at the 20Things site if you get stuck and you can also see the cartoon summaries of internet years past back to 2010.